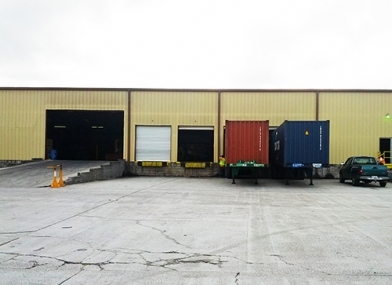 TrailerDecking.com is pleased to announce the opening of a new warehouse location near Savannah Georgia. Nov. 6, 2012 - PRLog -- TrailerDecking.com has opened a new centralized warehouse and pick up location, in the heart of the warehouse district and close to the Port of Savannah, Georgia. The new Garden City location will offer a full assortment of Shiplap, Laminated Floor Kits, Plywood and Tieslats / Kickboards. Other specialty products such as Rough Sawn Lumber are currently carried only at the 122nd location in Portland, Oregon. This location is a third-party contract warehouse and although no one from TrailerDecking.com is on-hand, there is staff available to assist customers who have questions about their order, want to schedule a delivery or need assistance loading. TrailerDecking.com is an industry leader and carries a wide selection of wood products geared towards the transportation industry, in-stock and available to ship from both coasts. Because of TrailerDecking.com's long history and huge selection of flooring, decking and plywood products, they can take advantage of the best prices available and pass the savings on to their customers. Trailerdecking.com’s motto is, 'We strive to get it to you as fast as you need it.' Whether you need one piece or a truckload, they are available to assist with all your trailer decking needs. TrailerDecking.com services OEM's, Service and Repair Centers, Fleet Owners and Owner-Operators.